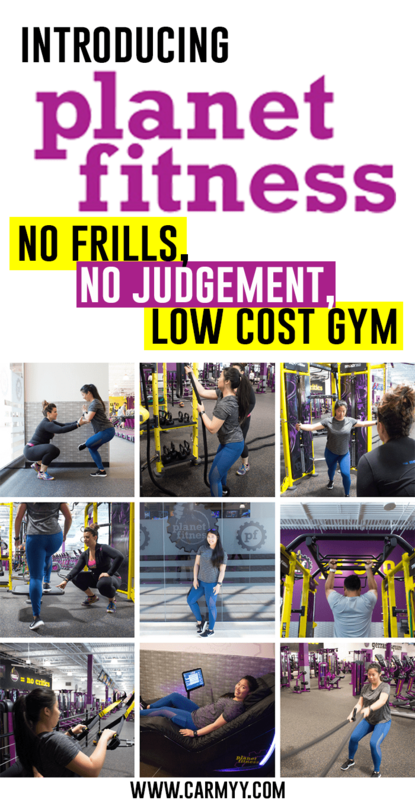 Are you looking for a no frills gym with low rates in Toronto? 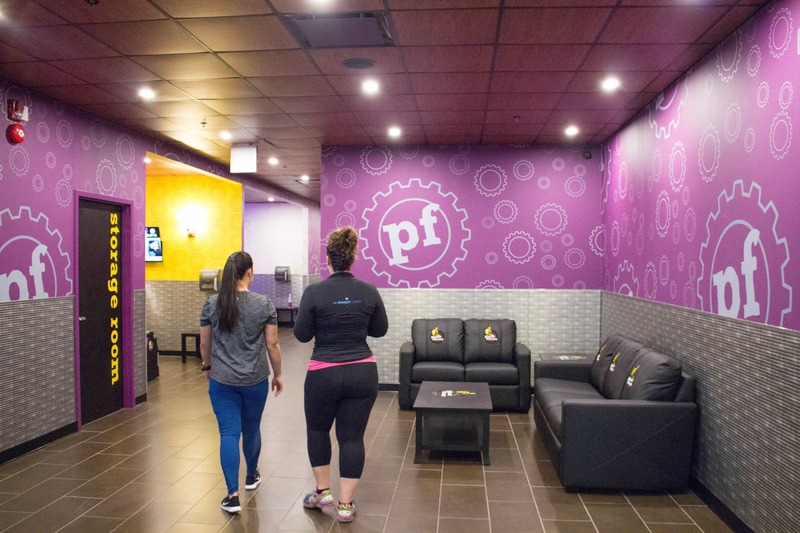 Check out the new Planet Fitness location at Gerrard Square! This post is sponsored by Taymax Planet Fitness. In exchange for this post, I have received perks in the form of products and/or compensation. All opinions on this blog are my own. Let’s get real for a minute here. It actually took me ages to step foot into a gym without feeling a bit out of place. I mean I follow a ton of fitness ladies on IG and YouTube and since I’m not blinded by rose coloured glasses, I know that those ladies and I do not look the same. Not one bit. I have approximately a zero pack (unless you count the pack of candy I sometimes keep in my bag) and I have 3x their body fat percentage. It took me a while of tagging along with my guy friends like a lost puppy around the gym’s more “intimidating” sections before feeling like I belong. It took an embarrassing long amount of time of me staring at certain pieces of equipment wondering how it worked (because I’m a stubborn person who doesn’t like to ask for help) before slowly building confidence at my gym. So why am I sharing this with you? Because I want you to be able to just skip that awkward phase at the gym entirely. If Planet Fitness was around when I first started going to the gym, I would have definitely have abs by now (okay maybe not, but it would have taken me way less time to get my confidence built). 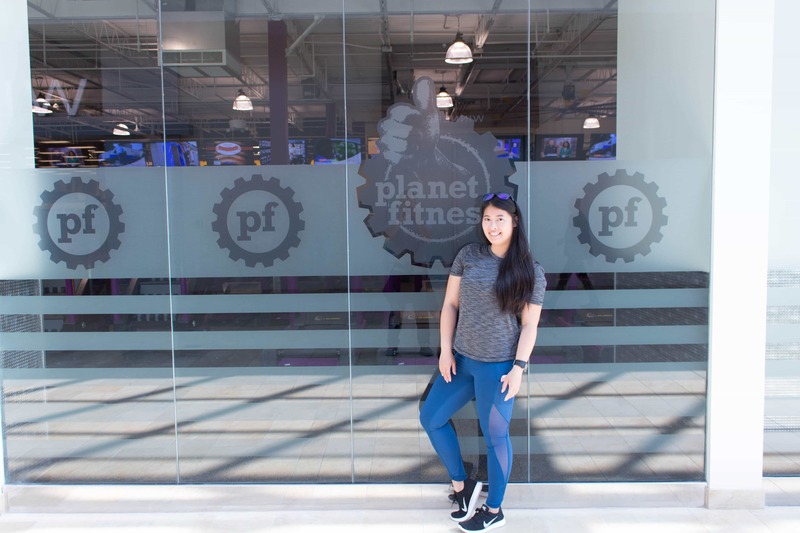 Last week, I was invited by Planet Fitness to check out their newest Toronto location: Gerrard Square! Fun fact: I actually used to live across from Gerrard Square from the ages of 0-18. I had always hoped for a gym in the mall and now, here it is! Maybe it’s time to move back to Leslieville. 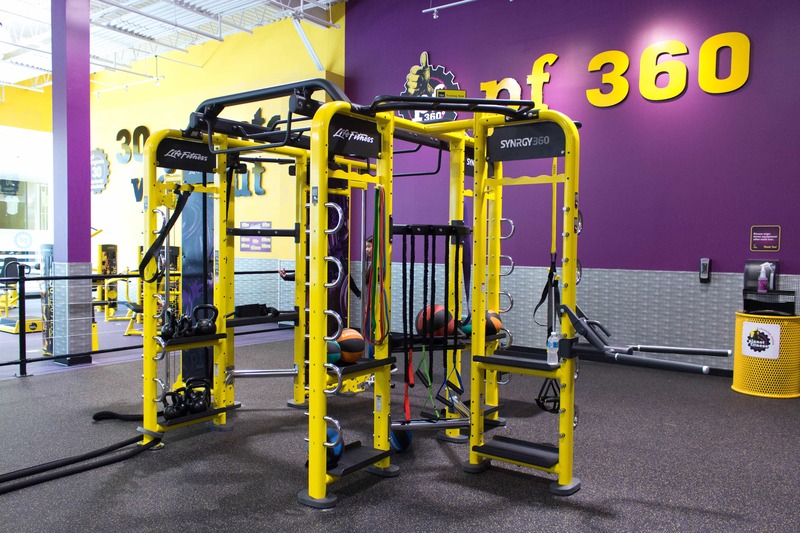 I had heard about Planet Fitness online and seen their iconic purple and yellow equipment on Instagram but there was never one near me. It was mostly in America when I had heard about it so I kind of put them on the back burner until my cousin lost a ton of weight and I asked him where he had worked out. He told me Planet Fitness and I was honestly like “wait what? They’re in Toronto?” So when I was invited to check out their Gerrard Square location, I was quite excited to see what was in store. When I walked in, I was immediately greeted and felt their welcoming vibe and fell in love with the colours. I was introduced to Danni Allen (winner of the Biggest Loser season 14) and was shown around. So how does this relate to me wanting you to skip the awkward gym phase? 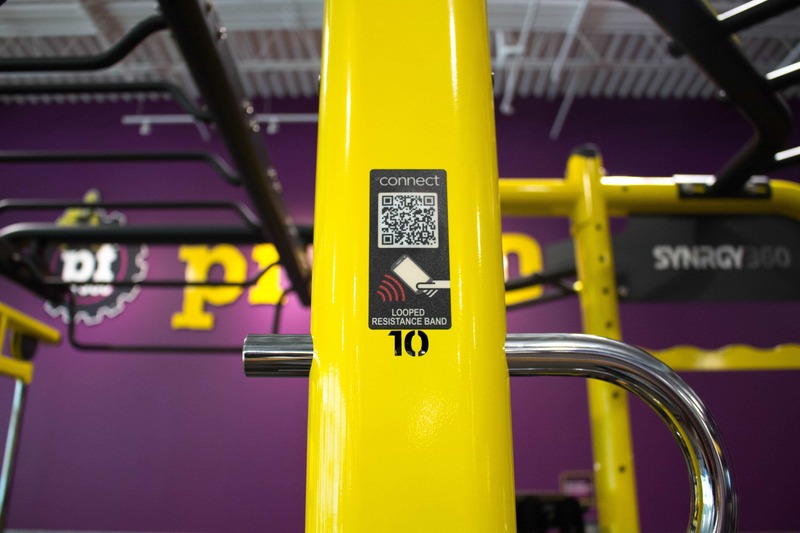 Planet Fitness offers you free wifi which you can use to download their app. With the app, you can scan a QR code that’s on every piece of equipment and it’ll provide you with a how-to guide for the machine! It can also be used to track your workouts and progress because I know how sometimes in my oxygen deprived post workout state, I have no idea what I had just spent the last hour doing. Another reason why I didn’t ask for help in the past (other than being stubborn) is because of cost. Raise your hand if you’ve ever been pressured into signing up for a personal training session or consult or whatever the hell they want to call it. ?? At some gyms, it felt like every time you were to ask for help, it would have turned into a sales pitch so I usually avoid them. 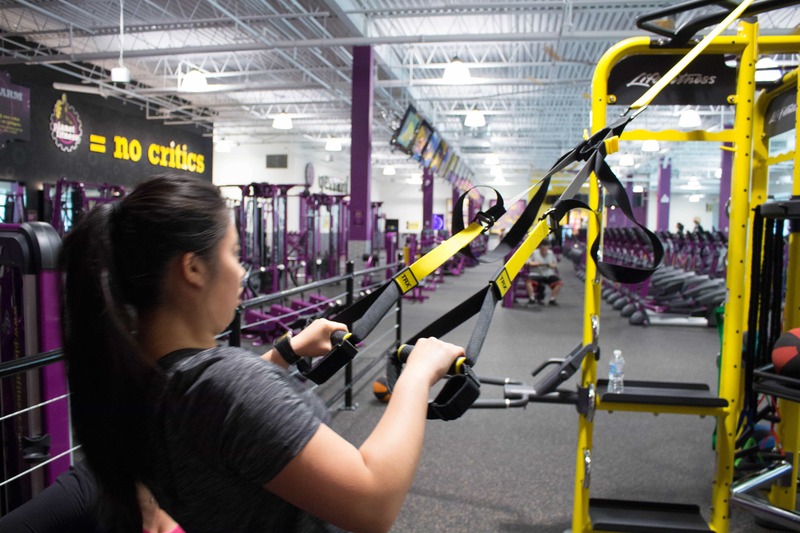 With Planet Fitness, it’s seriously like a breath of fresh air. 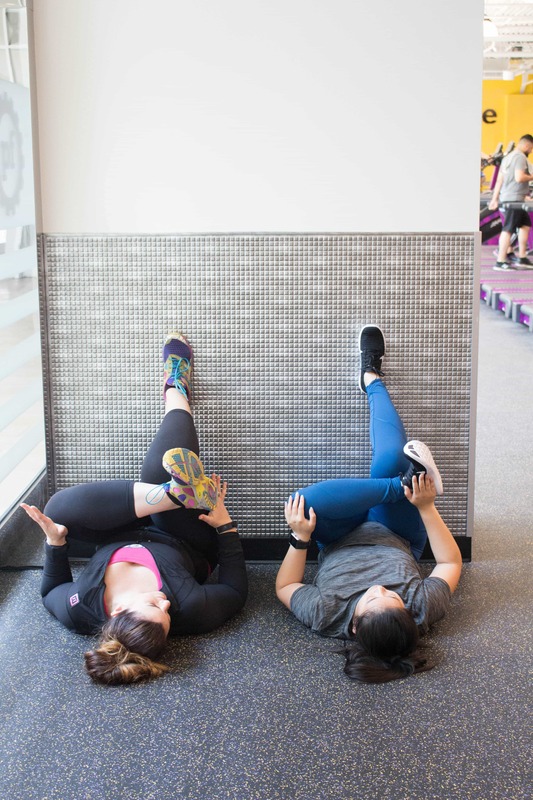 Asking for help, having someone help you put together a routine, and having someone show you how to use the equipment properly is all built into the cost. 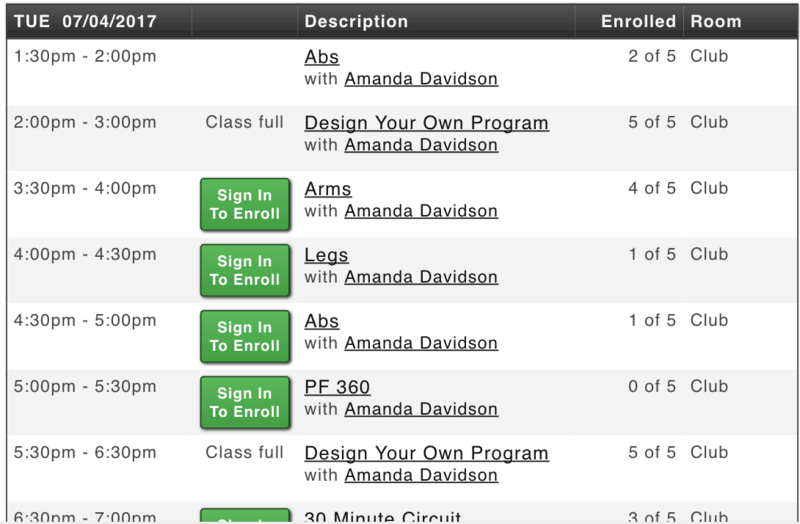 Yup, that’s right, no more “want to sign up with our personal trainer for $50 per session to reach your goal” pitches. You ask for help and their personal trainer (or even Danni!) will be there to help you at no extra cost. They also break it down for you in layman’s terms. Instead of going on and on about anatomy, terms such as “back of the arm” “front of the leg” and “lower back” are used to take away from of that “gymtimidation” one can get when they’re new and feel like they don’t know all the fancy terms for their body parts. This to me is actually quite important because it breaks out the barrier to entry that a lot of people may struggle with. Not everyone grew up working out or studying anatomy so having someone throw terminology at someone who’s new, may cause them to feel discomfort and discouraged. Let’s circle back to the whole “built into cost” train of thought and barrier to access. 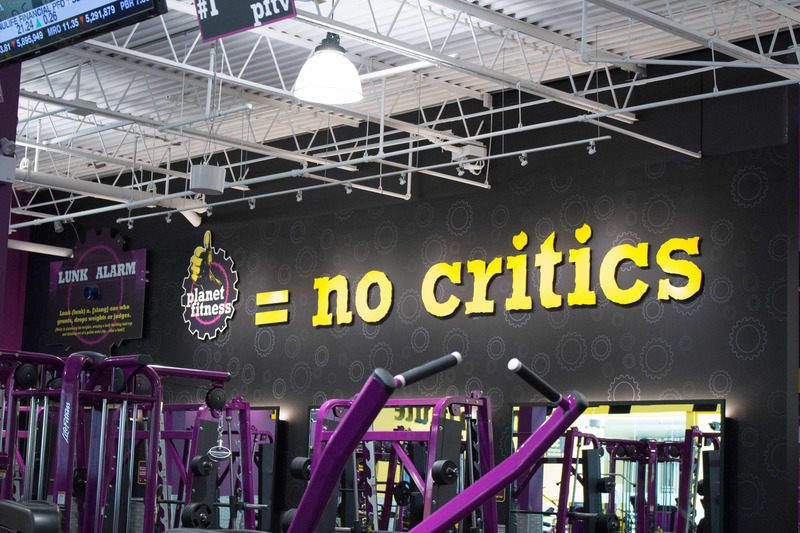 Planet Fitness only cost $10 a month for their no frills membership. Things such as access to their spa (massage chairs, tanning, etc) and being able to bring a friend anytime is an additional $9.99 add on. So for $10 a month, you’re able to have access to a large clean space with equipment in a friendly environment. What can go wrong with that price. I believe that being able to workout and being healthy should be accessible to everyone. Most people cannot afford to spend $50 on a personal training session at a gym that cost way more for a membership. 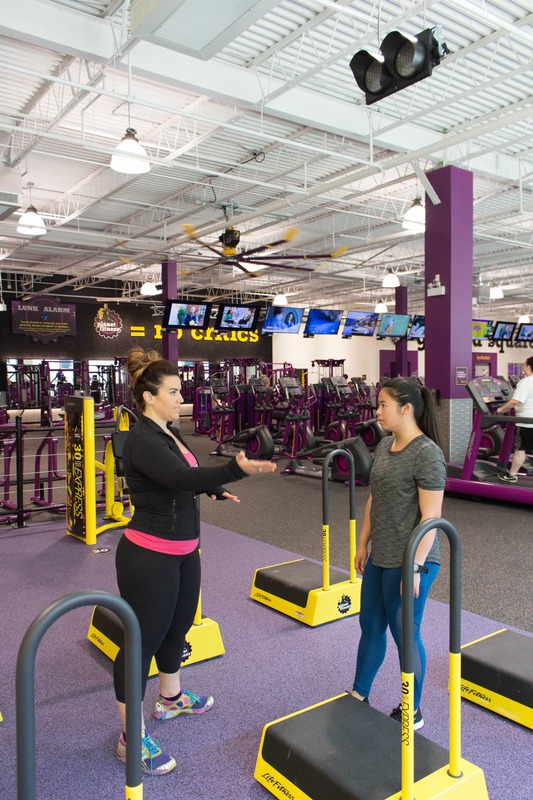 Planet Fitness gives everyone the opportunity to be able to access a safe space to workout at (and with the help of a trainer) for an extremely low price. Pictured below are some of the Black Card perks you get for an extra 9.99 which is totally worth it if you have a significant other since with the Black Card, you can always bring a plus one (and the ability to use any Planet Fitness location). Oh and did I mention the gym is 24 hours? Yep. $10 for 24 hour access to a gym. 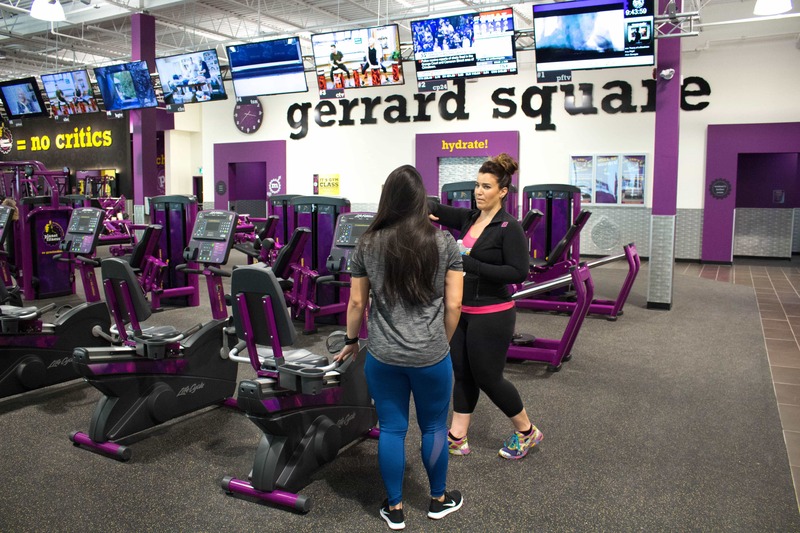 One thing with the low price tag of Planet Fitness does not include is the extra classes such as yoga, spin, etc that other gyms provide. However, they do have multiple small group fitness sessions daily with a personal trainer to help you get your sweat on. 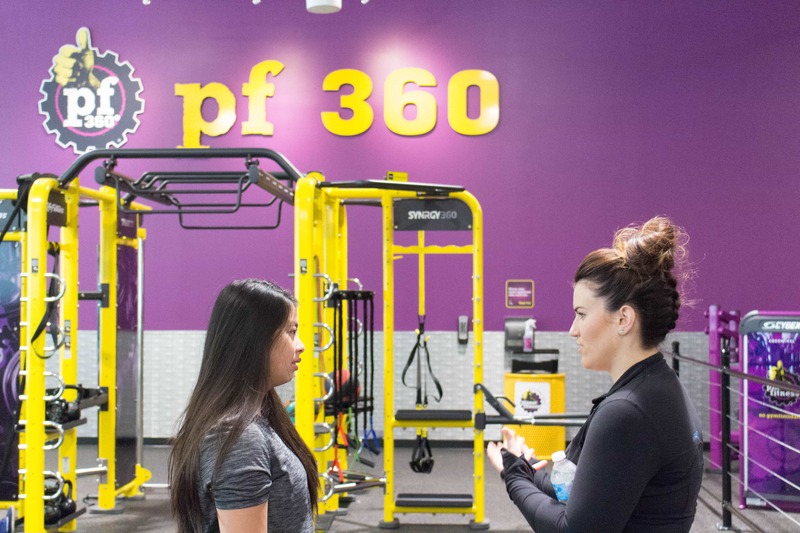 I think my favourite part of the gym is their PF 360 which is practically an adult jungle gym where you can work almost every part of your body. Whew, this was practically a mini essay. I’m quite passionate about people having access to affordable fitness so I’m quite excited that Planet Fitness is expanding within Canada. I hope that if you’re looking for a gym and cost is a barrier to entry, consider checking out a Planet Fitness! PS if you’re a cardio heavy person like myself, Planet Fitness has like a zillion cardio machines with no time limit on them so you’re not trying to run 10k in their 60 minute time limit most machines at gyms have. Let’s chat! Do you go to a gym (why/why not)? What gym do you go to? 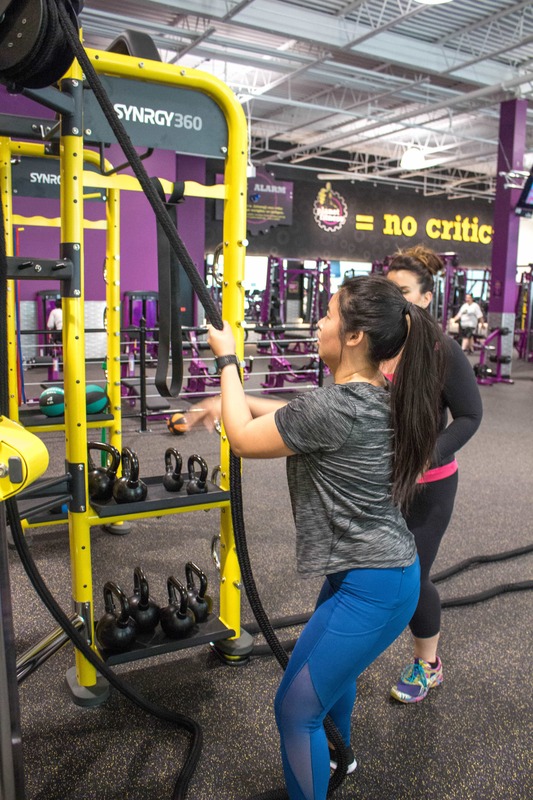 Are you a Planet Fitness member? Photos taken by Henry @ HeathyHenry. Love all these photos! Such an affordable gym membership which can help a lot of people gain access to these facilities! Thanks for the tour! It’s great that you can pay for the things you want to use not for the things you don’t. This looks like a perfect for for you! I’m not a gym gal…I have a lot of stuff already at home, so I can keep myself pretty busy as it is. We have Planet Fitness here and I’ve never been. I’ve actually only worked out in a gym once! Lol. But I do like the idea of no frills. I don’t go to a gym at the moment, because there just isn’t one convenient to me. If something is more than 10 minutes away, there is a really good chance I won’t get there. It’s just how I roll. However, I do love the way Planet Fitness operates, and if there was one somewhat close, I would be all over it. Thanks for sharing your experience. I am a member of LA Fitness but I have a Planet Fitness in my city as well. I like that they allow you to only pay for the services that you need – I wish more gyms would do that! Those QR codes on the equipment are really neat! I don’t belong to a gym but I have friends who are PF fans! 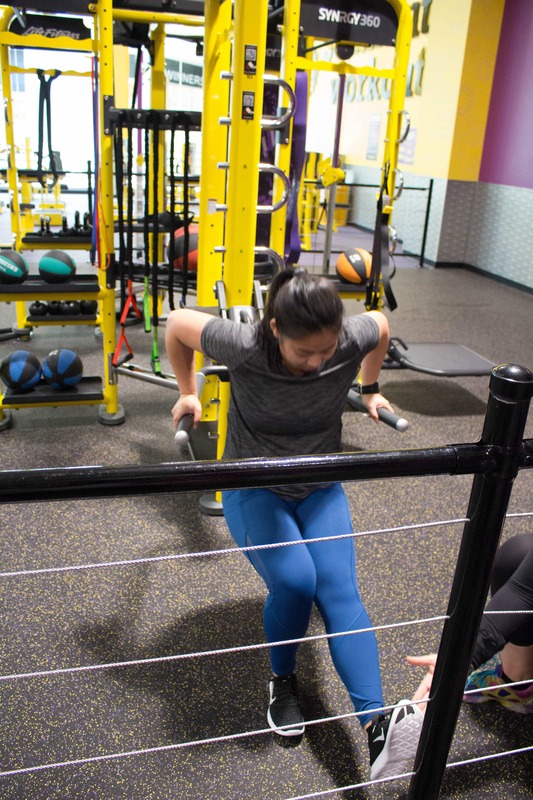 I go to two gyms– HIIT based class gym + Planet fitness for some extra cardio. Also, cant forget about the free pizza, bagels, and tootsie rolls st planet fitness! ? ? We have a Planet Fitness near my house. I need to check them out. 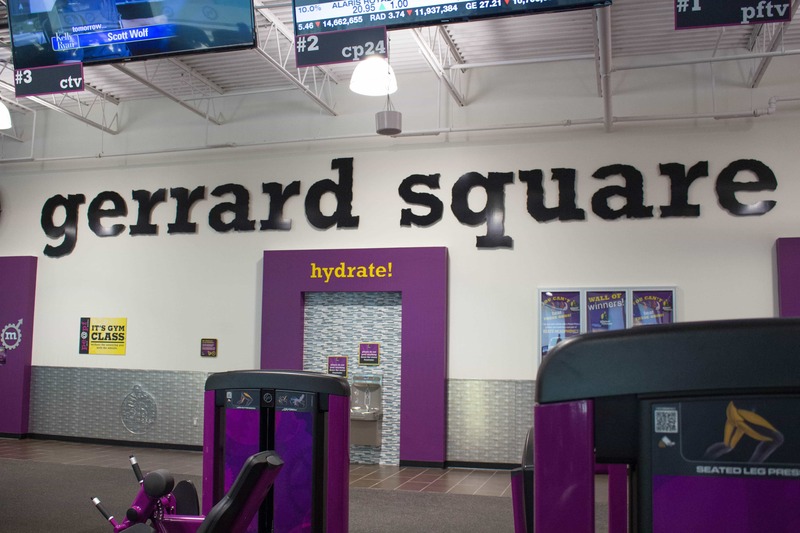 Looks like you found a great place to workout! I love all the options! If I was looking for a gym in Toronto, this would be it!!! Looks like a great place to workout! 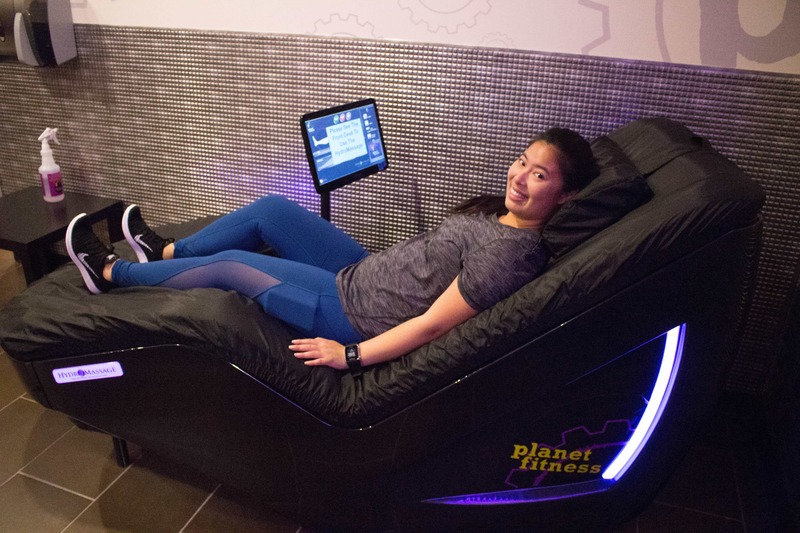 How cool that you got to meet and work out with Danni as part of your Planet Fitness experience! How did you feel being able to work out with a celebrity?